I just had to share this photo from today. 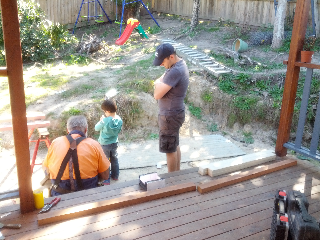 Not 2 but 3 Guys at work building gates for the deck so that Miss Amelie won't be able to escape when she starts to crawl. And so we can lock the dogs off when we have company.